[/av_heading] [av_textblock size=” font_color=” color=” admin_preview_bg=”] Mark Donaldson VC is a remarkable young man that has lived life to the full from a very early age. On 2 September 2008 in a valley in eastern Afghanistan, Trooper Mark Donaldson made a split second decision that would change his life. His display of extraordinary courage that day saw him awarded the Australian Victoria Cross for Gallantry – the ultimate symbol of heroism. Yet Mark’s journey to those crucial moments in Afghanistan was almost as exceptional as the acts that led to his VC. He was a rebellious teenager who lost his Vietnam veteran father in mid teens and a few years later his mother disappeared, presumed murdered. A young man was at the crossroads. He had a choice, a life of self-destructiveness and petty crime or change the pattern. Mark chose the Army. It turned out to be a wonderful alternative and truly inspiring for the youth of Australia. Mark Donaldson was a natural soldier who excelled in the training and discipline of Army life. He set himself goals and planned a program that would see him pass the most rigorous of mental and physical tests to become a member of Australia’s elite Special Air Service (SAS). He took no short cuts. Tours of East Timor, Iraq and Afghanistan followed and Mark carries the reminder of how luck can be an important ingredient in success. A bullet remains lodged in his leg to this day to keep him focussed. 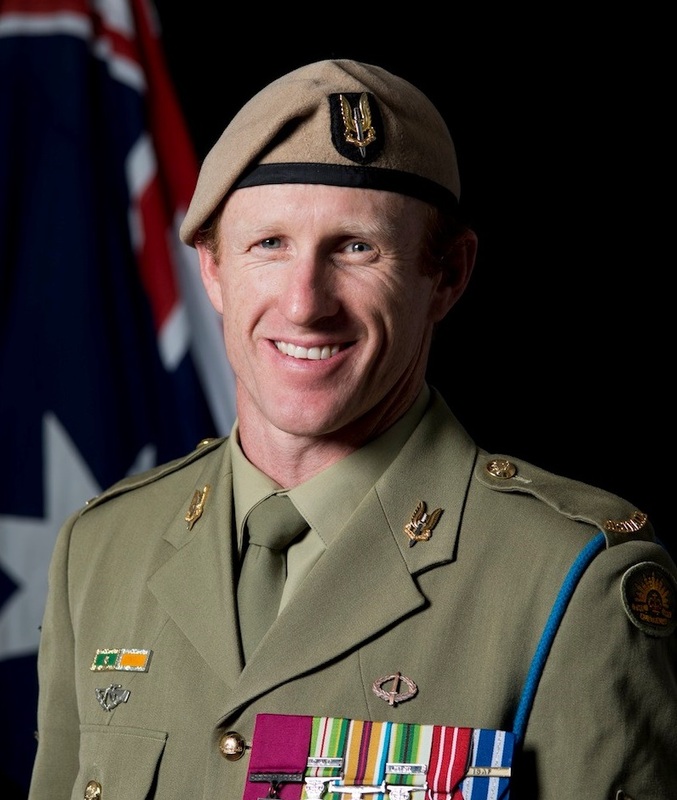 Mark Donaldson VC is married with two children. He continues to serve in the SAS. He has authored a best selling book “ The Cross Road – a story of life, death and the SAS” and he is committed to assisting soldiers to settle back into Australian life after being in harm’s way on duty overseas. Mark Donaldson VC is a man that makes Australia very proud.